The competition is dedicated to islands with innovative and sustainable local renewable energy production for use in electricity, heating, cooling, and transport. There are over 2 000 inhabited islands in the EU, which are ideal test labs to develop innovative energy technologies and can serve as energy transition models for small communities in general. Islands can benefit from the transition to renewable energy sources in many ways, including the creation of local jobs and new opportunities for sustainable tourism. "Islands are perfect test labs for the deployment of innovative energy technologies. I hope this new prize will encourage many islands and other small communities to re-think the way they produce and consume energy. Europe needs all communities, big and small, to contribute to the clean energy transition." The three winners will receive a cash prize of €500,000, €250 000 and €100 000. 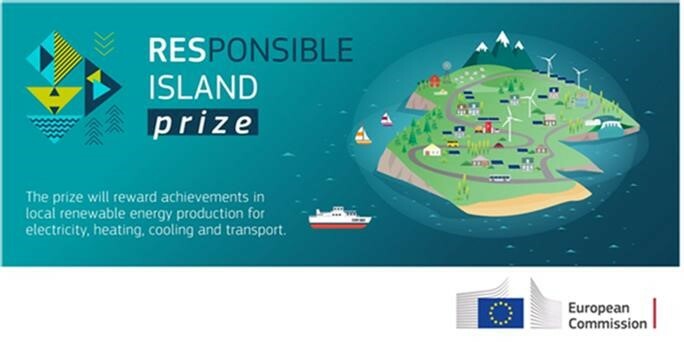 The deadline for applications is 26 September 2019 and more information, including the Rules of the contest, are available on the RESponsible Island Prize website.